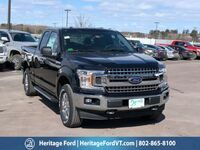 When it comes to exceptional performance and power, as well as the engine systems to deliver it, the 2019 Ford F-150 is a truck that doesn’t hold back. This amazing truck embodies the Ford slogan, built tough. It’s a truck that’s perfect for work and play, allowing you to take all your tools and toys with you while on the road! 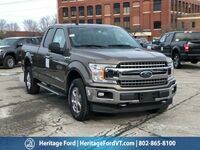 However, despite its place at the top of the truck market for decades, the 2019 Ford F-150 has competition! One of the excellent trucks that compete with the new 2019 Ford F-150 is the 2019 RAM 1500. Both exceptional trucks offer great engine power and performance for you to enjoy, making it hard to pick between them if you’re looking for a vehicle for work or play. Thankfully, we at Heritage Ford are experts in all thing's vehicle, and we know how to find you the best possible deal! We'll be comparing these two excellent trucks to find you the best deal! 3,270 lbs. Maximum Payload Capacity 2,300 lbs. As you can see from the chart, both the 2019 RAM 1500 and the 2019 Ford F-150 are excellent trucks, offering great power with their strong engines. However, they are not completely comparable. The new 2019 RAM 1500 might be stronger at the start, with a better starting horsepower than the new Ford F-150, but it certainly falls back in terms of payload capacity and maximum towing capacity. Additionally, the 2019 Ford F-150 is much cheaper than the 2019 RAM 1500, over $2,000 cheaper than the RAM 1500. This means that you’ll get more for less when you get behind the wheel of the new Ford F-150. 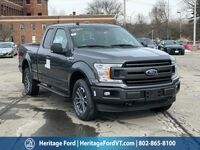 For more information on the new 2019 Ford F-150, or to take it for a test drive, contact us at Heritage Ford today!